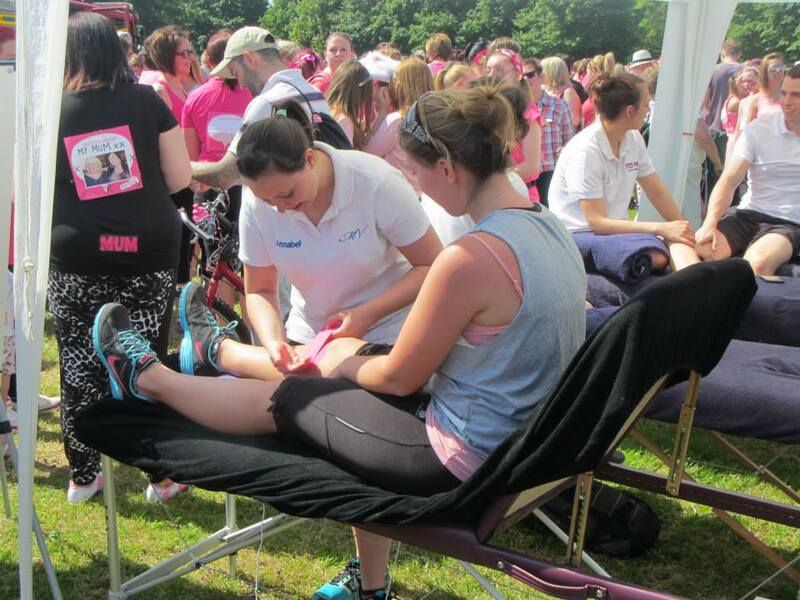 On 18th May 2014 the Mike Varney Physiotherapy clinic provided sports massage, taping and injury advice to the thousands of runners competing in 5 and 10km races for Cancer Research. 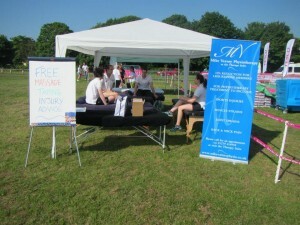 We had a team of 7 therapists massaging all those tired legs till 2pm. 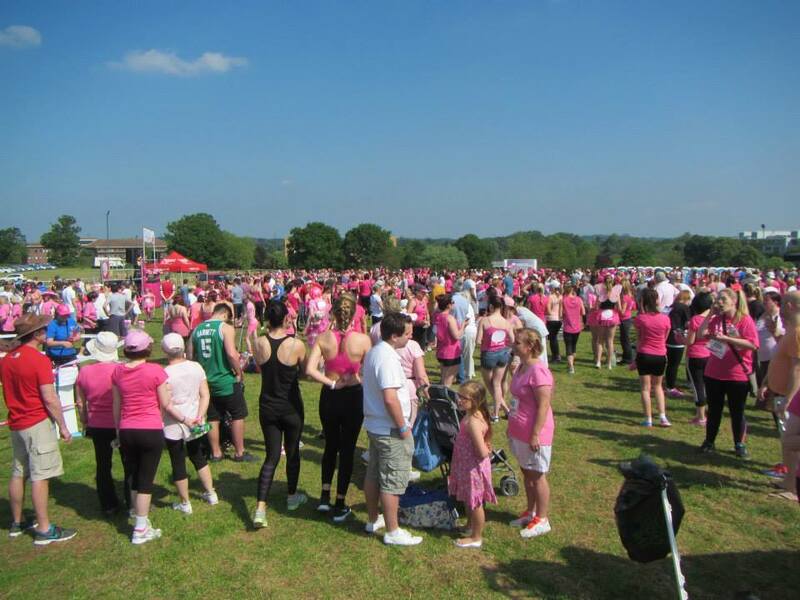 It was a tough day, with temperatures soaring to the late 20s but the atmosphere was amazing and the money raised by all those special women is going towards the opportunity to finally beat cancer. 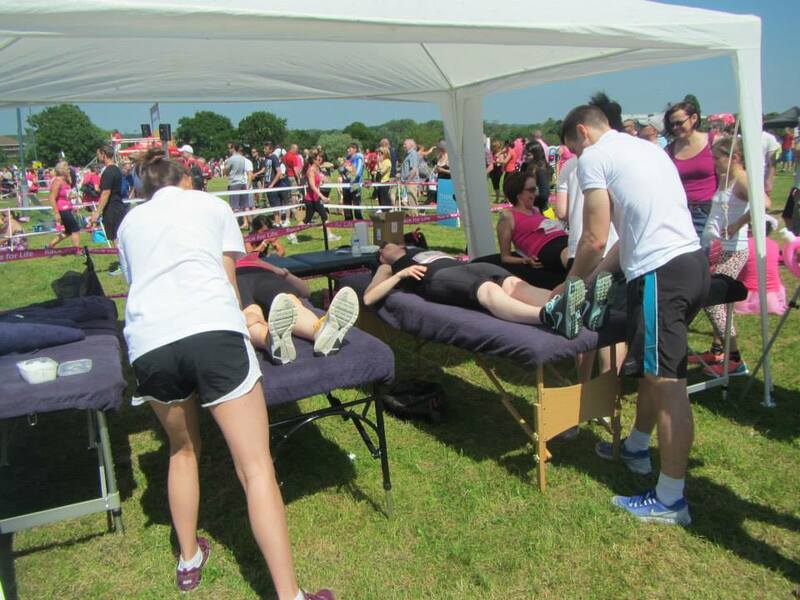 Special thanks to Saskia, Miles, Sarah, Katie, Laura and Ben from the University of Hertfordshire for massaging till we were ready to drop! Starting and finishing in Harlow Town Park showground, both 5k and 10k courses take in paths within the park and cycle paths outside the park. 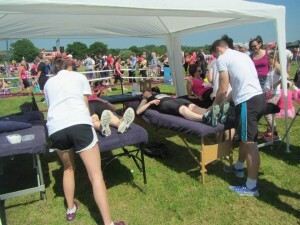 The courses are undulating and moderately challenging.